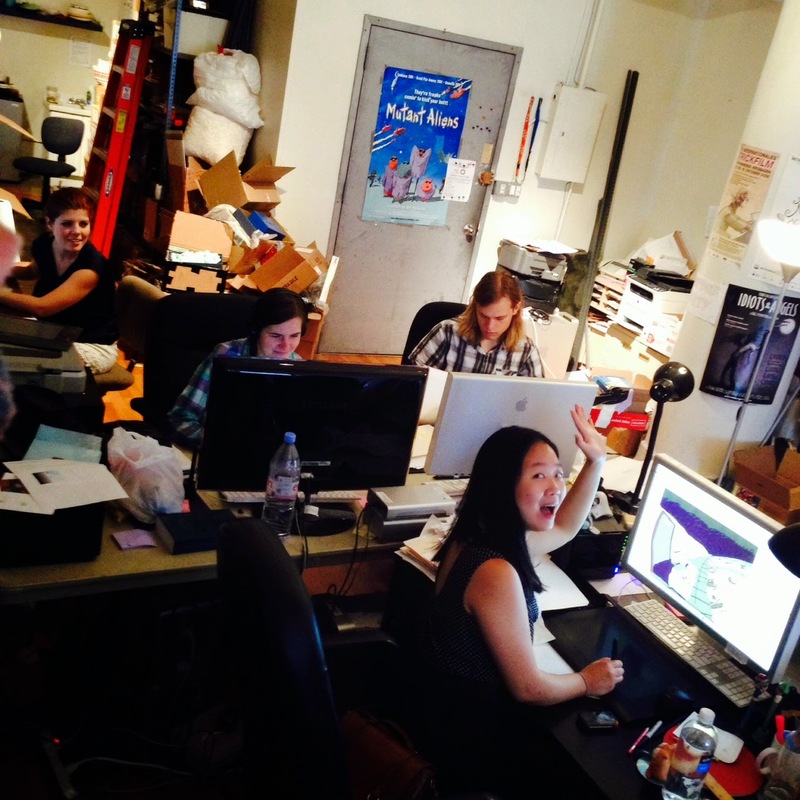 Here's where Bill Plympton creates much of his magic and mayhem. 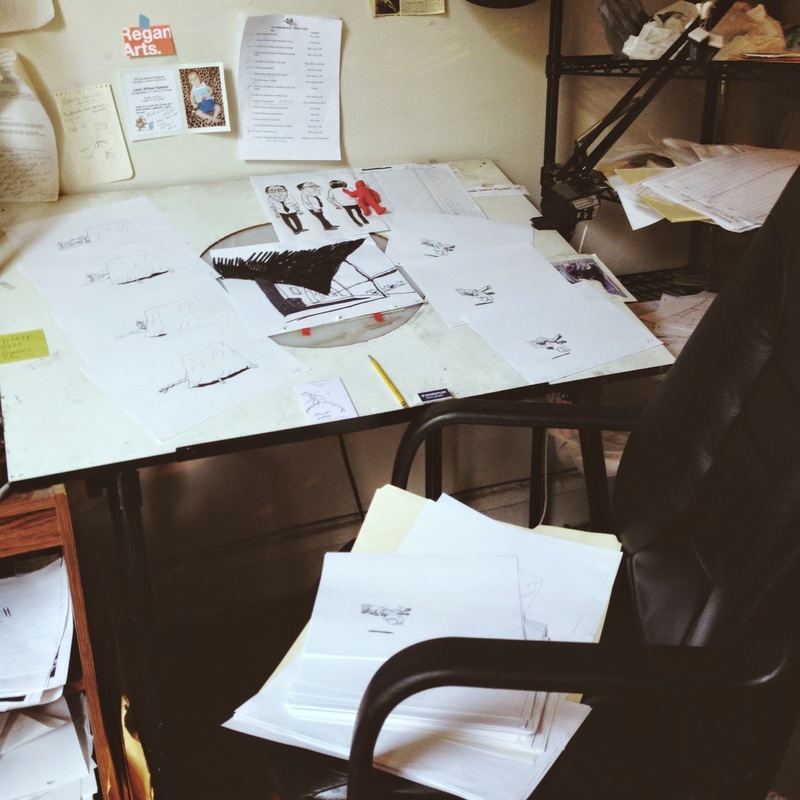 The mighty Plymptoons drawing table in all of it's pencil and ink glory! This table has seen a few Idiots and Angels in it's time. Somewhere in New York City, this table is seeing serious action with bikers chasing a young girl and bounty hunters battling each other for a piece of the action. Bill is HAND DRAWING the film using Jim Lujan's character designs as reference. If you look closely, you can see Lujan's designs for Rod Rosse. More on that guy soon! Well, here it is folks...your first taste of a character from the Bill Plympton/Jim Lujan film REVENGEANCE (currently in production). This is Jim Lujan's version of the character to be drawn by Bill Plympton. 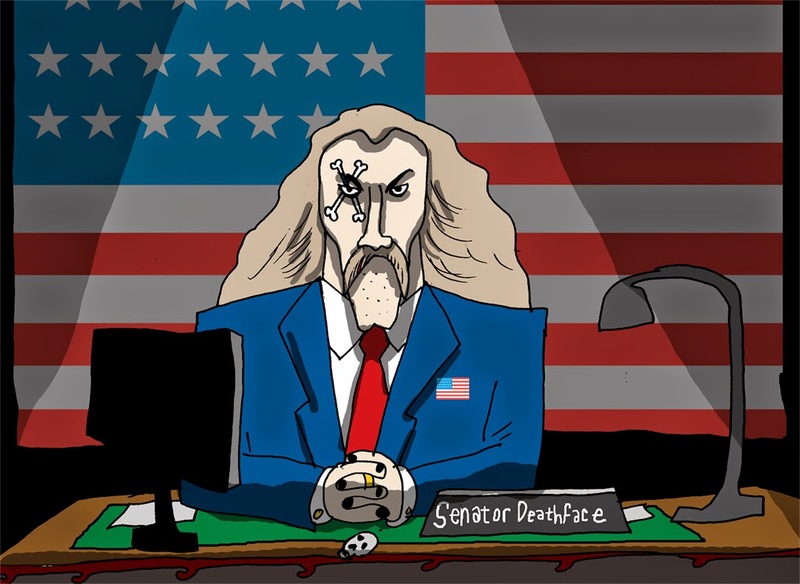 This fine looking fellow goes by the name DEATHFACE.....Senator Deathface, if you don't mind. He is as shady as a lady with a mustache. As evil as a poacher in a pet store. As mean as a hornet with hemorrhoids...you get the picture ....he is a bad bad man.He is one to put the smack down on anyone dumb enough to stand up to him (He's 6'5 so that's hard to do). And how does one become a State Senator with a checkered past and a tattoo on his face? Well, lets just say he's got high friends in low places. His security force is none other than the dreaded INLAND EMPERORS. A motorcycle club he just happens to be the leader of. Ain't politics grand?